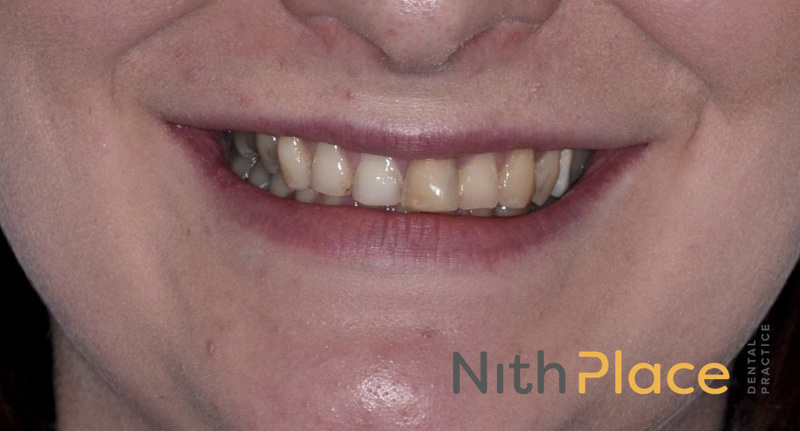 Let Nith Place design the smile you've always dreamed of. Below is a showcase of real patient smiles and examples of some of the many procedures and dental treatments available at Nith Place. If you have any questions about the case studies, or you would like to know more about how to achieve the same look, then please do not hesitate to get in touch. 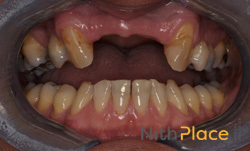 Patient was unhappy with her discoloured, chipped front teeth and ‘pointed’ canine teeth. 4 beautiful e-max ceramic crowns and cosmetic bonding of composite to re-shape the canines gives a great smile. Patient was unhappy with the appearance of several older crowns and bridges and wanted a brighter, natural smile for her wedding. Replacement of crowns and bridge with all ceramic crowns, veneers and bridge meant beaming smiles on her big day. Patient was very self conscious of her teeth due to her older crowns on her front teeth. Gum re-contouring, tooth whitening, new crowns and smile to be proud of. A broken bridge needn’t spell disaster. Tooth whitening, extraction of roots, a partial denture and some porcelain veneers saved the day. Patient wanted to get rid of a plastic denture that replaced the front teeth. An all ceramic bridge which looks and performs like natural teeth. Treatment carried out with Tooth Whitening, Porcelain veneers and cosmetic bonding gave a great result. "I am beyond thrilled at the finished result... worth every penny." Patient was unhappy with her smile, and wanted to improve the colour, shape and position of her teeth, but still look natural. Patient was delighted with combination of Tooth Whitening, Porcelain veneers and E-max crowns. 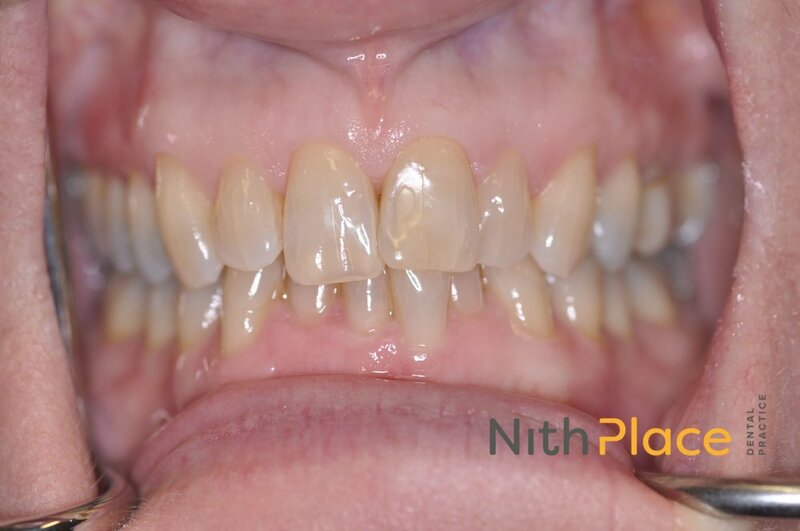 Patient was unhappy with the shape, colour and alignment of her upper front teeth and wanting to improve the appearance before her wedding. A great smile for the wedding was achieved with tooth whitening, and 6 porcelain veneers.